Once again, The HSUS has identified a major American retailer saying one thing and doing another. Kohl's department store has been telling customers it has its act together when it comes to distinguishing between real and fake fur, but, according to our latest investigation, it's violating a federal law by selling real raccoon dog fur advertised as "faux." If you have been following our work to expose fraud in the fur industry, you will remember that this is the second violation by Kohl's within a year's time. Last year, we uncovered Kohl's selling rabbit fur handbags as "faux." When our supporters called the company to urge a fur-free policy, Kohl's chose instead to play games by changing its customer relations phone number and taking down its customer service webpage, making it nearly impossible for people to voice their opinion. This time, a men's parka that we bought and tested from Kohls.com-advertised as having a "faux" fur trim – turned out to have real raccoon dog fur. So today, we are issuing another consumer warning to Kohl's shoppers to alert them. In general, selling animal fur as "faux fur" is a violation of the Federal Trade Commission Act, which prohibits "unfair or deceptive acts or practices" in commerce. And because the fur is on a piece of apparel, Kohl's is also in violation of the FTC's Fur Products Labeling Act because it failed to give the name of the animal killed, and in which country, in the online advertisement. 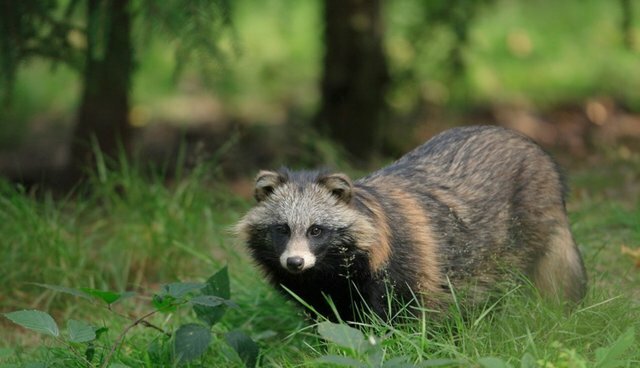 Retailers selling fur continue to play fast and loose with raccoon dogs, and it's not just Kohl's. Last year, the Federal Trade Commission, the U.S. government agency charged with protecting consumers from deception, decided it would continue to use a bogus fur trade name – Asiatic raccoon – for raccoon dogs, a step that exacerbated consumer confusion and deception in the marketplace. Every year, millions of animals are killed for the cruel fur trade, using methods such as electrocution and drowning. Some animals are even skinned alive. But with so many quality alternatives to fur available, there is no reason to wear animal fur and no reason for Kohl's to sell it. We have made numerous attempts to reach out to Kohl's, and the corporation is aware of our concerns over its fur policies. Officials there have had plenty of time to correct the situation, do the right thing, and follow the law.Please join The HSUS in urging Kohl's to adopt a fur-free policy. This is an easy fix, and the company shouldn't delay any longer in getting on board.